It truly is wonderful that people feel strongly enough about certain topics to go fight for what they believe in, but most of the time they do it in the completely wrong way. 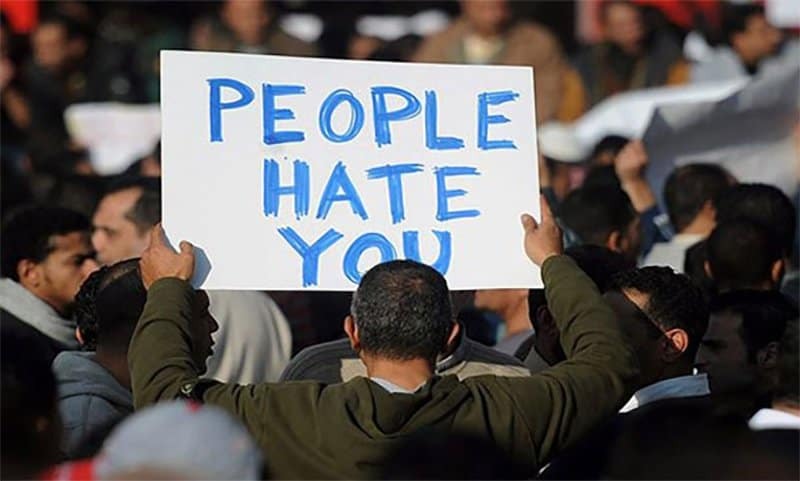 They are usually loud, obnoxious, rude and ignorant of other peoples opinions or emotions, but sometimes – just sometimes – they get it completely right. Sometimes the best way to make yourself be heard to be to completely honest and absolutely hilarious. 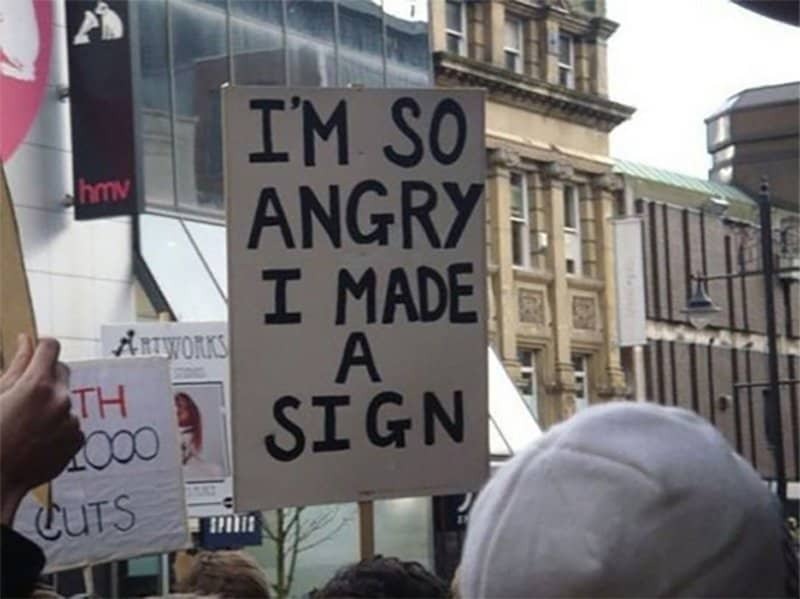 This is a list of ten hilarious signs made by protesters that you can get behind; and if you can’t get behind them you can surely see the merit in them. This kind citizen is obviously furious over certain events, but they handled it like a true Canadian. After a long, hot day of protesting this is more likely than not going to be the only true statement many will see. 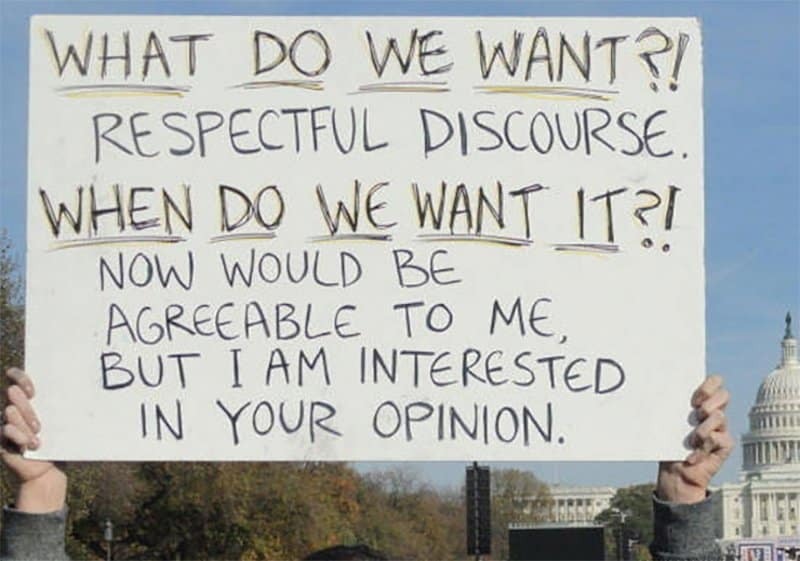 This sign certainly makes one think about holding a proper opinion on certain topics. The one in the background, though, couldn’t be further from the truth. We aren’t really sure which one is funnier, but together they make a humorous picture. 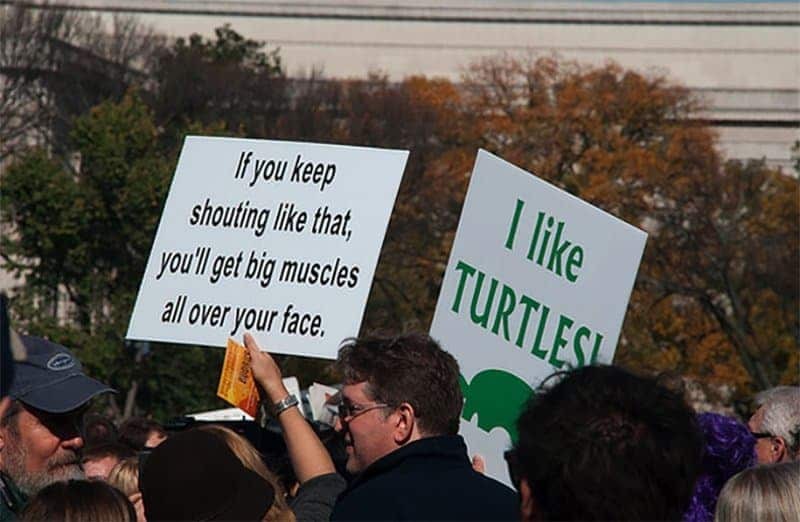 Imagining politicians with giant facial muscles is funny, but so are turtles. 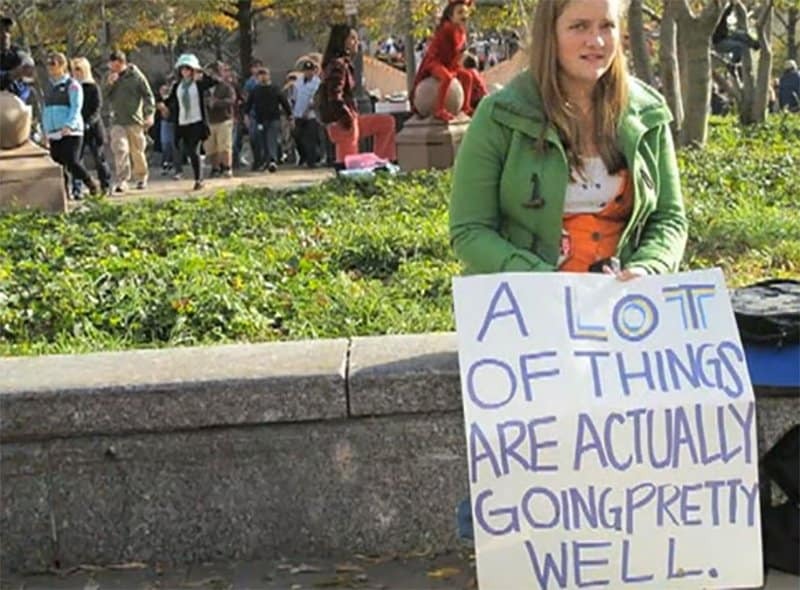 With the economy going down the porcelain swirl, this sign seems to be hitting closer and closer to home. 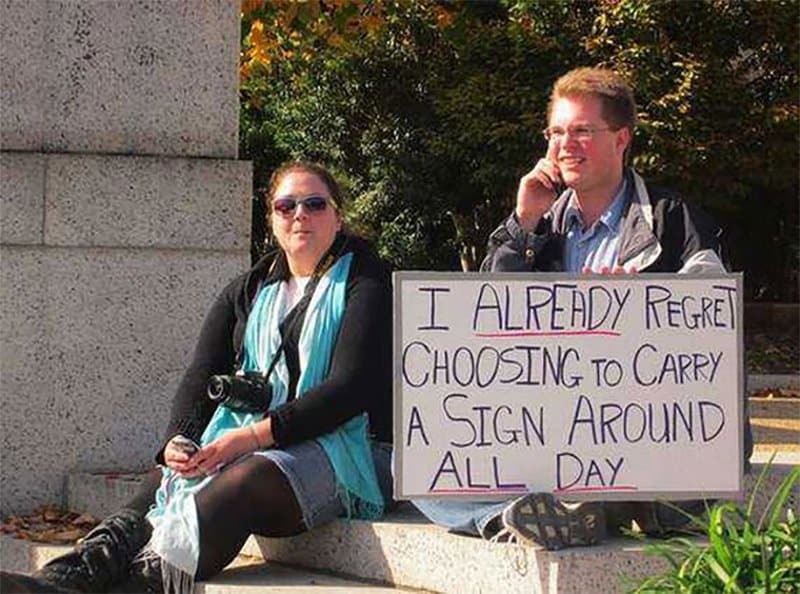 This man makes a funny sign out of a morbid future. Contrary to the previous bloke, this girl seems to be going alright. Maybe both of them are correct; maybe neither one is. It’s nice to see a good perspective for a change. 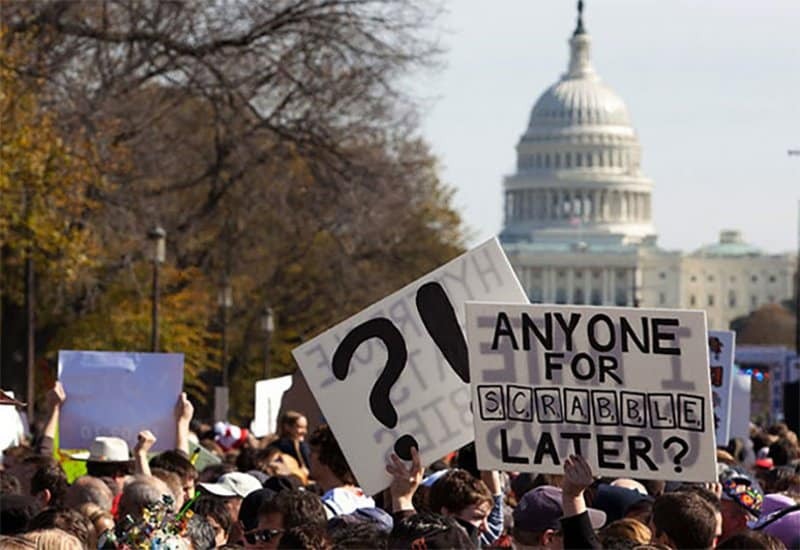 What better place to find some dedicated friends than at a protest where people believe strongly about certain things. You can bet your bottom dollar the people who come hang out with him later are friends that’ll fight for your cause. 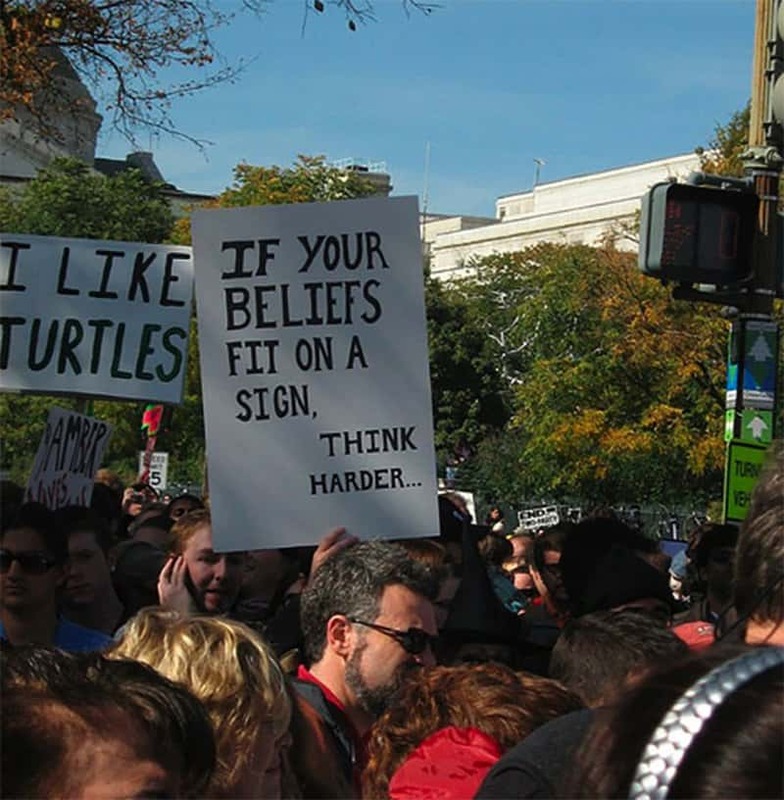 A logical and well thought out argument at a very heated protest. Who would have thought? 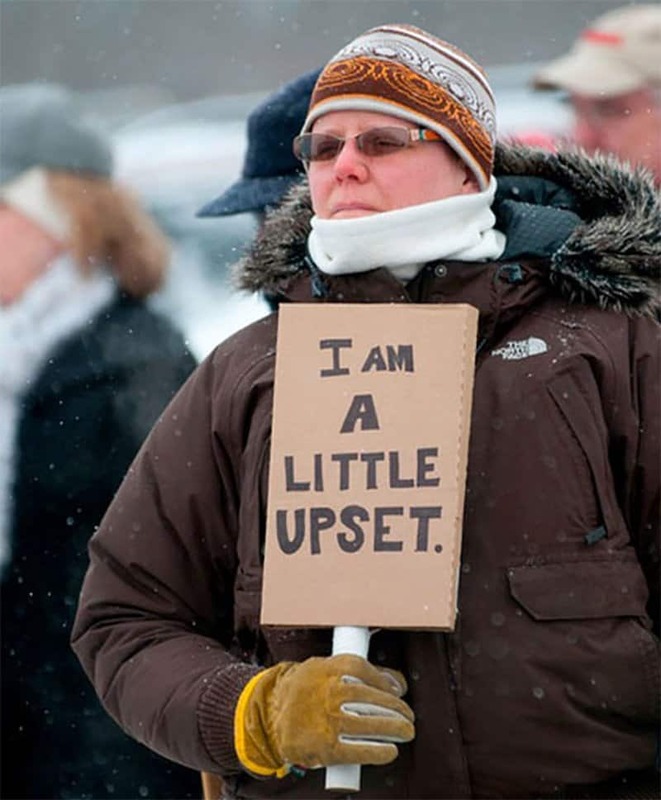 When Canadians decide to “take up arms” in the form of signs, then you know something is about to go down. We instill every politician we elect with the hopes and dreams of ourselves and our children, only to have it fall apart every single time. 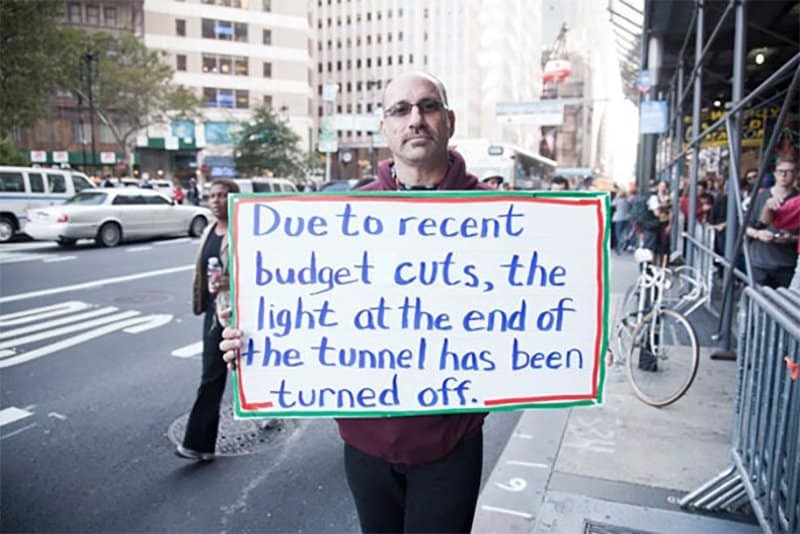 This guy nails his message to all politicians who fail to uphold their promises.